Hawley Harvey Crippen was the doctor, and the letter is now held by the Wellcome Library as MS.8332. 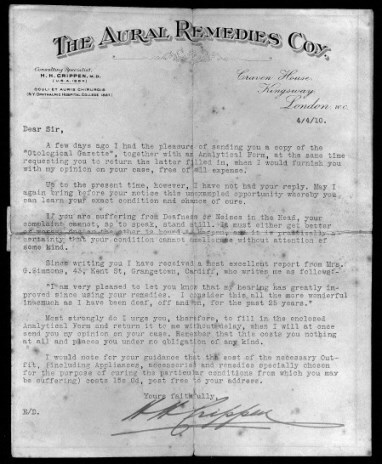 Writing in his capacity as “Consulting Specialist” to the Aural Remedies Company, Crippen sent out many such letters offering a free diagnosis of hearing problems, and thus providing us with an early example of medical junk mail. MS.8332, circular letter signed by H. H. Crippen. 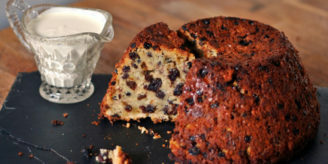 Wellcome Images no. L0026170. Born in Michigan in 1862, Crippen, a doctor of homeopathy, came to London in 1897 with his second wife, Cora. Mrs Crippen was a budding music hall singer, also known by her stage name Belle Elmore. Although the outgoing Belle and the reserved “Peter” (as he was known to friends) seemed an unusual match, no one who knew the couple suspected disharmony. At around 1.30am on the morning of 31 January 1910, Paul and Clara Martinetti left the Crippens’ house at 39 Hilldrop Crescent, after an evening dining and playing cards. Cora Crippen was never seen again. Within a year, her husband would be executed for her murder. After Cora’s friends caught Crippen out in his lies about her disappearance, the police began to look into her whereabouts. 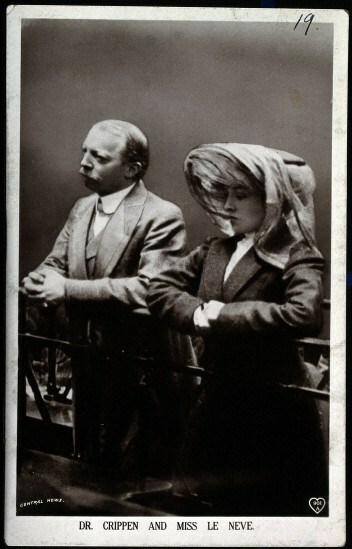 Despite them finding nothing suspicious, Crippen was sufficiently rattled by the investigation to flee, taking his lover and secretary, Ethel Le Neve, with him. It was this act which caused Chief Inspector Walter Dew and colleagues to return to Hilldrop Crescent and conduct a second, more thorough, search of the property. Under the floor of the cellar, they discovered a mass of human flesh and internal organs, along with hair curlers, hair, and bloodied material from a camisole, pyjama top and handkerchief. The chase to capture Crippen and Le Neve was played out in public, much as that of O J Simpson would be nearly a century later. The difference was that instead of television showing live footage of the police chase, in 1910 newspapers contained regular updates of Crippen’s behaviour on the SS Montrose as received by telegraph. They were also given updates on the progress of Inspector Dew, as he raced to reach Canada before the suspects on the faster SS Laurentic. Hawley Harvey Crippen and Ethel Le Neve in the dock. Photographed by Arthur Bennett. Wellcome Images no. V0026226. As well as being the first time a police chase was played out in the media, the Crippen case also saw the debut of the modern forensic expert, personified by pathologist Bernard Spilsbury. There were three main pieces of evidence: the hyoscine (also known as scopalomine) found in the body (Crippen had purchased hyoscine and signed the poison book at Lewis and Burrows Chemists in January 1910, but had no known use for the drug and could not provide a convincing explanation for what had happened to his purchase); the pyjama top (which matched a pair of pyjama bottoms found in Crippen’s bedroom, and a representative from Jones Bros stated these had only been on sale since after the Crippens had moved into Hilldrop Crescent); and an alleged abdominal scar. It was this scar that was the key piece of evidence against Crippen. Despite the fact that even today experts cannot agree whether the mark is an operation scar or a fold in the skin, Spilsbury and his colleagues were able to convince the jury that this piece of skin provided proof of the identity of the victim. After deliberating for less than half an hour, the jury found Crippen guilty of poisoning his wife with hyoscine and dismembering her body. He was sentenced to death and executed at Pentonville prison on 23 November 1910, still protesting his innocence. 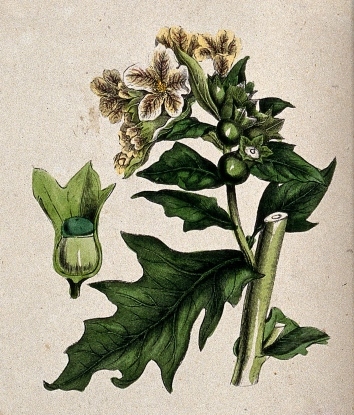 Henbane, the plant from which hyoscine is derived. Wellcome Images no. V0044745. And this is how things remained until 2007, when controversial new DNA techniques claimed to reveal that the corpse was not of Cora Crippen but that of an unknown male. There are too many issues with the recent DNA tests to cover in a blog post, but if we assume the results are accurate, and the remains found at 39 Hilldrop Crescent were those of an unidentified male, does it really make any difference? It would be impossible to identify the victim more than one hundred years later, but does this make them any less deserving of justice? Human remains were found buried in Crippen’s house, along with his bloodied pyjamas. Upon examination the corpse was found to contain high levels of a poison that Crippen was known to have purchased. Regardless of the identity of the victim, that of the murderer is still beyond reasonable doubt. 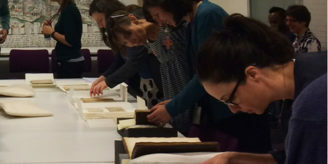 Author: Natalie Walters is an archivist at the Wellcome Library.